Not a student yet? Enroll Now! Earn a trip to Germany to visit the KUKA Lab at KIT! Would you like to receive an all-expenses-paid trip to Germany to visit the new KUKA Udacity Learning Lab at KIT? You can, by entering the KUKA Robotics Challenge! The winner will also get to attend the NVIDIA GTC Conference in Munich. KUKA, KIT and Udacity have partnered to offer this incredible opportunity. Participants will compete in a race to navigate a real KUKA iiwa robot, equipped with a Schunk gripper and Roboception camera, through a physical 2D maze. Your code will search for a path, and navigate the robot through the maze by commanding 2D positions and an orientation angle to get around corners in the fastest time possible. To be eligible, you must be enrolled in or graduated from the Udacity Robotics Software Engineer Nanodegree program and be a U.S. resident. Submissions will be open from August 25th - August 28th. Winners will be subject to terms and Official Rules. KUKA is a global automation corporation with sales of around € 3.5bn and approximately 14,200 employees. As a leading global supplier of intelligent automation solutions, KUKA offers its customers in the automotive, electronics, consumer goods, metalworking, logistics/e-commerce, healthcare and service robotics industries everything they need from a single source: from components and cells to fully automated systems. The KUKA Group is headquartered in Augsburg. 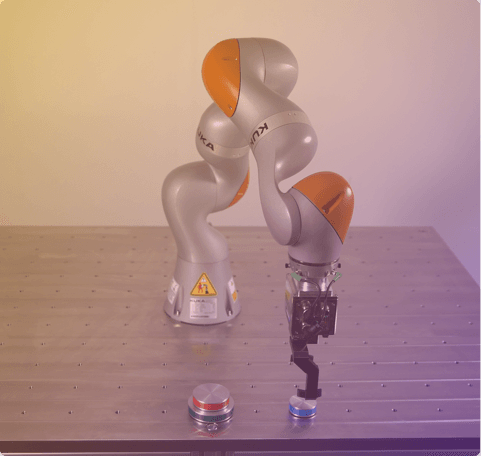 Through their partnership with the Karlsruhe Institute of Technology(KIT) and Udacity, KUKA is providing cutting-edge equipment to KIT’s new robotics lab in Germany to help train the next generations of innovative and world-changing roboticists. The Karlsruhe Institute of Technology (KIT) has one of the world's largest research and teaching facilities, with more than 9,000 employees and an annual budget of just under € 1 billion. KIT occupies a leading position across many fields of research. KIT is launching the KUKA Udacity Robot Learning Lab to collaborate with students around the globe on complex scientific and technical issues in the field of robotics. How do I know if I’m eligible to compete in the challenge? To be eligible to enter the KUKA Robotics Challenge, the minimum requirement is that you are a graduate of, or actively enrolled, in Term 1 of the Robotics Software Engineer Nanodegree Program. Due to contest restrictions, you must also be a U.S. resident to participate in the challenge, and claim the prize. I’m not a U.S. resident, can I participate in the challenge? No, only U.S. residents are eligible to participate in the challenge and earn the prize. Will I be able to at least complete the project, even if I can’t participate in the challenge and earn the prize? I’m eligible! How do I enter the challenge? To enter the challenge, go to the optional ‘KUKA Path Planning Project’ in the extracurricular section of Term 1 of the Robotics Software Engineer Nanodegree program. Here you can complete the project and submit your code to enter the challenge. I clicked the “Enter the Challenge” button but it just took me to sign-in page. What went wrong? You have to be signed in to your Udacity account to enter the challenge. Sign in to Udacity through that page and try again. I’m not a Udacity Robotics Software Engineer student. Is there any way I can still access the challenge? There is not. But we regularly have events like this for our Robotics students, so sign up for our Nanodegree program now to get started. How will participants be evaluated? Participants will be timed to determine whose code can complete the maze in the shortest amount of time. The clock starts when the robot picks up the object and the participant’s code begins to run. The clock stops when the robot successfully moves the object to the end location in the maze. No. While participants will have the opportunity to run their code on the robotic arms multiple times in the weeks leading up to the challenge, once the submission period opens on August 25th participants will submit their project only once for the competition. What are the deadlines for the challenge? Participants will have from August 25th to August 28th to submit their project in the classroom. KIT will run all participant’s project submissions on the arms and announce the winner on September 1st. May I enter as a team? No. Due to challenge restrictions all project submissions are tied to a unique student id and there can only be one winner of the prize. Will my participation be publicly announced? No. Inside the classroom there will be a leaderboard that lists the top scores of participants. Participants are not required to participate in the leaderboard and must opt in to have their scores displayed. All names on the leaderboard will be anonymous. The winner of the challenge will be announced on September 1. Where can I find the official rules for the challenge? You can find our complete Official Rules here. Who can I contact with questions or problems related to the Challenge? Please submit all questions in the Robotics community's KUKA Slack channel #kuka.